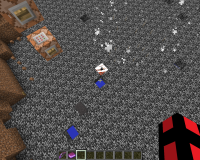 and a button on that commandblock. 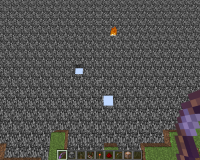 after spawning in the tnt get a flame_I bow and shoot the tnt from the top. 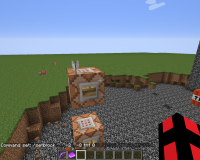 AFTER the tnt blows up and the arrow is still in the air push the button again to spawn a new tnt... this will cause the tnt to get Glitched into the bedrock! 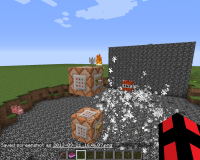 or any other block AT THE SPOT WHERE THE FLAMING ARROW LANDS! Downloadlink for the World with the Bug pre-set is in attachments. 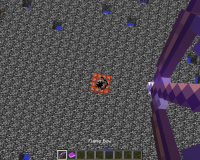 Bascially: TNT acts very weirdly when shot with arrows and then set on fire, whether with the Flame enchantment, or Lava.